Debbie Delgado will host an informative and fun evening for your clients, to encourage them to feel comfortable using the products they purchase from your business in their own home. 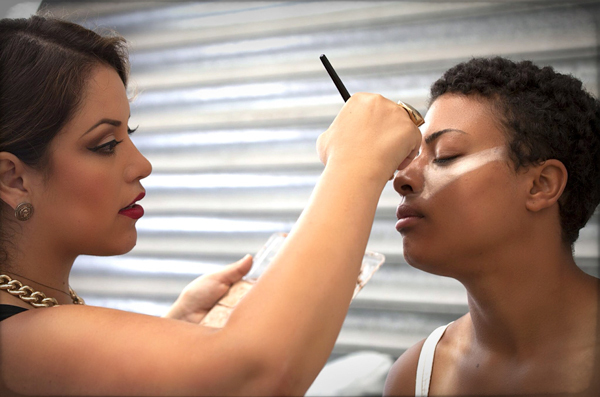 Contouring techniques used by celebrity makeup artists are included and are an invaluable tool for your clients confidence. These client evenings include a complete start to finish explanation, including what to use, how to use it and why in order to achieve a professional look. * A demonstration of Eyebrow threading can be included if desired. * Performing mini make over’s on your clients and staff can be included. Contact Debbie today to find out more about her VIP evenings for salons & spas.